The Slow Food Ludlow group’s – “Taste Workshops” – at the Ludlow Food Festival will include Peter from The Duck’s Nest, Presteigne – demonstrating his culinary expertise with our mutton. Result! We will be selling our produce at the Kington Christmas Food Festival on Saturday 5th December 9.30am-2.30pm. Now a bustling centre of over 50 local food producers presenting a fantastic range of culinary offers to eat on the day or to resolve your Xmas gift nightmares. Live Music. Free parking. Weobley Ash will once again be selling our food and produce at the Kington show. A one-day, traditional agricultural show. A great day out for all the family! ENTRY FEES: £10 adults, 10-16 year olds £5, children U 10 years free. This year’s festival was a resounding success with record attendance of people who came to enjoy the wide range of stalls and extensive entertainment offered by the flying club, the fire brigade, musicians and a range of local chef’s including Andy Link of The Riverside Inn Aymestry. We are now supplying The Duck’s Nest Bistro – recently opened just up the road in Presteigne. 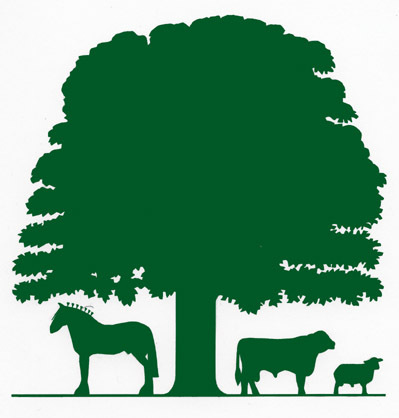 Weobley Ash will once again be setting up stall at the Mortimer Country Food Fair – Saturday 11th July 2015. The Mortimer Country Food Fair promotes local food and craft producers, by featuring their products to local people who may have been unaware of how superb the food produced around them really was. The Food Fair has been running for seven years and gets bigger and better every year! The 2015 Food Fair will be the best ever with more exhibitors and demonstrations than ever before. Entry to The Mortimer Country Food Fair 2015 is £4 per adult. Parking nearby is free of charge. There is no need to book your tickets in advance, – just turn up and pay at the door. The Mortimer Country Food Fair is held on the premises of Aardvark Books, Brampton Bryan, Herefordshire (click here for a map). We will be feeding the 5,000 at the second ‘Gardens in the Wild’ festival to be held on the 20th & 21st of June in Stagg Meadow, Titley – just down the road. The festival celebrates the gardens and landscape of Herefordshire, where “mountains and moorland, sheep pasture and wooded river valleys, small villages and castles exist side by side” . We will be serving our cooked to order farm-made hogget burgers, pulled mutton and other lamb dishes. Entry to Stagg meadow is free. Parking is £3.